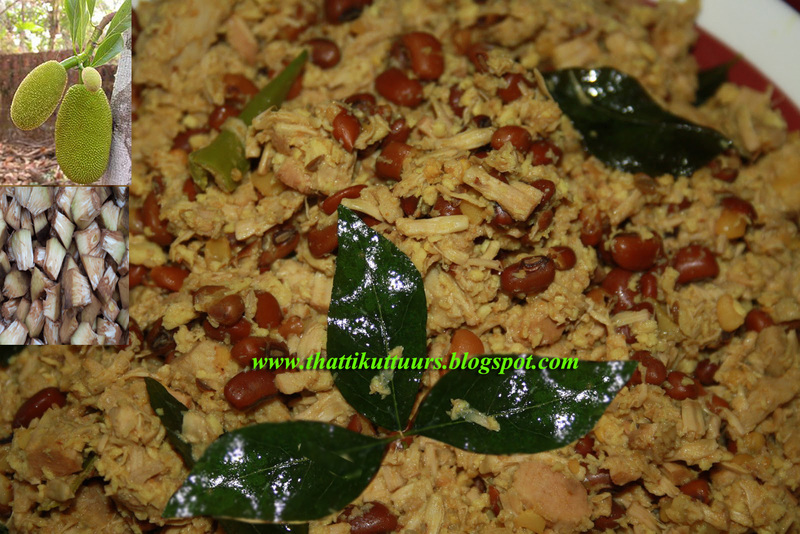 For preparing idichakka puzhukku - , first soak vanpayar in water for 5 hours before preparation. Boil it in pressure cooker until done. Cut idichakka(tender jackfruit) into small pieces and boil it in the pressure cooker. Add turmeric powder and salt. Note that vanpayar and idichakka must be kept in separate vessels for boiling. 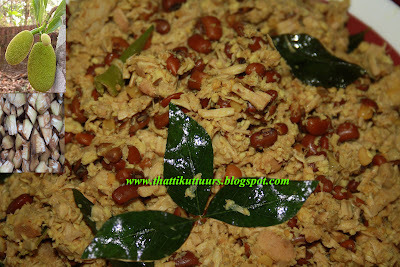 After crush tender jackfruit into small pieces and add this to the boiled vanpayar. Grind the grated coconut and add to the 5th step mixture. Add red chilly powder, jaggery and boil for few minutes. Fry mustard seeds , curry leaves. and urud dal in coconut oil and add this to the mixture. Idichakka puzhukku is ready to serve.